A leadership competency model should serve as the foundation for any organization’s leadership development system. An effective model allows an organization to clearly define what leadership competencies are required in order for an organization to be successful, both now and in the future. 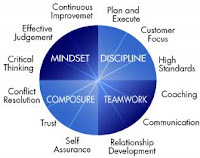 Leadership development systems (selection, assessment, development, performance management, succession planning) can then be aligned to support the development of these competencies. While the idea has been around for at least 20 years, a recent Right Management survey says that half of all corporations today have no model for identifying and developing the leadership competencies needed to drive change in their organizations. Each time, I’ve learned a few things and have refined the approach. I’m sure it’s not perfect, and I’m very sure it’s not what the textbooks would say, but it’s worked for me. I’ll also provide a list of other options, along with my opinion of the pro’s and cons for each. Option 1: Hire a top-notch consultant that specializes in leadership competency modeling. There are some great companies out there, like Hay, Hewitt, Right, and many other that will come in and work with you to understand your business strategy, interview top performers and key stakeholders, develop, test, and validate a model with behaviorally anchored rating scales (BARS), and develop an implementation strategy. Actually, with an unlimited budget, this is probably the best approach. You know you’re getting a valid and reliable model. The disadvantages of this approach are money and time. I’ve never worked in an organization with an unlimited budget (maybe, someday), and CEOs usually have little patience when you tell them something like this is going to take 14 months – and cost $100,000. Option 2: Read a book, go to a seminar, and try to do option 1 yourself. Not a bad option if you’re a do-it-yourselfer with a limited budget. However, it may actually take you more time because you’ve never done it before, you’ll make a lot of mistakes, and you may end up with an invalid model that’s worthless. I’ve witnessed this approach – it’s a long and lengthy process (if you follow what the book or guru says to do), and by the time the model is finished, there’s no time, patience, or interest left in actually doing something with the model. Option 3: Buy a model. The argument for this approach is “why re-invent the wheel”? There are already research-based, proven, tested and validated leadership models out there, like PDI, CCL, Lominger, and DDI. They’re all good; I’d recommend any of them. By buying an existing model, you also save time that would be wasted developing the model and can re-direct that time to assessment, selection, and development. There would be some cost involved – for a license to use the model (no, you can’t use them without paying for them, please) – but not as much as the build option. The only disadvantage of this approach is stakeholder buy-in. That may sound like a flimsy reason, and perhaps even weak HR leadership. After all, we wouldn’t ask for “buy-in” to the periodic table of elements, right? If it’s right, it’s right, no questions asked. However, I’ve tried it, and so far I have yet to find a CEO or management team that’s willing to take a “generic” model and apply it to their organization. These are big, strong egos, and that’s a powerful force to overcome. This is a practical, cost-effective, yet effective version of options 1-3 combined. 1. Obtain all of the business strategy documentation you can get your hands on. Conduct executive interviews to learn about business challenges and leadership requirements to address those challenges. Start with the CEO and work you way down a couple layers. 2. Review existing competency models (from option 3). Learn the language and terminology. In a way, they’re all saying the same thing in slightly different ways. Line them all up and look for the common themes, combining or changing terms so that they make sense to your organization. Avoid “HR-speak”, and stick to common sense, business language. 3. Pick out the key competencies that would really make the biggest difference in the success of your business. Go back to your interview notes and highlight the phases that you heard over and over. Use that same language (for buy-in), but cross-reference the phrase to ensure they are part of at least two research-based models. 8-12 competencies is probably a good number, if only for focus. (a good test one year later is to ask managers if they can name them all). 4. Review the competency model with your senior team for refinement and buy-in. Repeat the process with the next level of management and other key stakeholders, each time tweaking the model less but allowing ample time for discussion and understanding. Finally, create a strategic leadership development model (1-2 pages, or slides) – to show the connection between the business strategy, the competency model, and the alignment of the leadership system. Polish up the model, make it sing - get some professional help if you need it. Review this with the senior team, along with a communication plan to support the introduction of the model to the rest of the organization. By the way, while the development of a leadership competency model is critical, deployment of that model is even more important. But that’s the topic of another article. Please leave a comment if you have questions or other tips you'd like to pass along. Thank you for these very practical suggestions. 2. In the recommended strategy of the hybrid approach, assuming person is dedicated full time to working on this, what is the time envisaged for developing the model. 1. It's ard to say, without knowing what the causes were, or even what you mean by "failed". 2. I'd say 25-30 days. But it's always been a project, so that's not elapsed time, which would be about 3-6 months. As always, Dan, nicely succinct and relevant. I'd respectfully add a caveat to Option 1 - of the 'big' consulting firms out there who do this work, some are populated by consultants who have direct leadership experience, and others are staffed by academics who've never really walked in the shoes of the clients. In my experience, the former will create something actionable and practical, and probably in less time. Due diligence in selecting the Option 1 provider in order to test for first hand experience makes a huge difference. 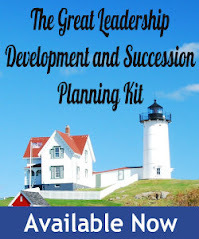 "Finally, create a strategic leadership development model (1-2 pages, or slides) – to show the connection between the business strategy, the competency model, and the alignment of the leadership system. Polish up the model, make it sing - get some professional help if you need it"